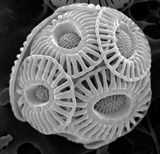 Determine the effects of ocean acidification on target Mediterranean calcifying and non-calcifying planktonic organisms. Analyse synergistic effects of acidification and warming on key pelagic organisms. Determine effects of ocean acidification and warming on selected economically important species (including potential nuisance or harmful species). Identify threshold levels for pH and temperature (tipping points) at the organism and community level. Identify and quantify responses of fundamental Mediterranean biogeochemical processes to acidification and warming.